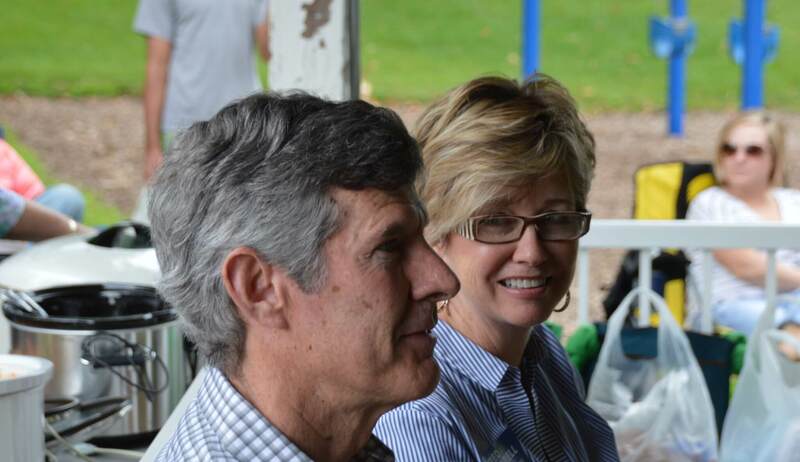 Iowa voters get a bonus this year when they elect Fred Hubbell as Iowa’s next Governor: Charlotte Hubbell, Fred’s wife and life partner, comes along as part of the deal. The role of political spouses of elected officials vary greatly. Some play no role at all, while others play pivotal roles in successful administrations. Many spouses become important advocates for issues they wish to elevate in importance. Others play a key role in communicating as proxies for the candidate. Charlotte Hubbell has already proven to be a valuable campaign spokesperson for her husband in articulating his policy positions. In addition, her critical efforts for both Fred’s campaign and the campaigns of other Democratic candidates demonstrates her valuable talents. There is certainly precedence in Iowa for the spouses of Democratic candidates to perform essential roles in both campaigns and in administrations. Former Governor Tom Vilsack’s wife Christie as Iowa’s First Lady was a leading advocate during her husband’s term as Governor. One of her best known efforts was fundraising to donate a book to every kindergartener in Iowa. Christie was an effective advocate for literacy by creating a statewide literacy initiative from 2000-2006. She played a pivotal role representing the Governor’s office promoting education and economic development initiatives across the state. The genesis of the team efforts of Fred and Charlotte can be traced back to their life changing experience as hostage victims on a plane hijacking in Pakistan in 1981. Charlotte was released after 6 days and Fred was held for 11 days. That experience changed their lives dramatically and they both decided to commit to doing more. In an earlier Iowa Starting Line article, Fred described the impact that event had on their lives. Since that traumatic event, Charlotte Hubbell has worked closely with Fred on a variety of issues equally important to both of them. Many of the issues Fred has championed in the past include mention of Charlotte as a joint partner. They have emphasized that their past fundraising for mental health services at Broadlawn’s and support for a Planned Parenthood clinic in Dubuque were joint efforts. Charlotte individually and together with Fred has been a leader on environmental issues. They have both been recognized for their joint leadership on environmental sustainability. Charlotte is currently serving on the Environmental Law and Policy Center’s Iowa Advisory Council. She co-founded the Iowa Environmental Council, one of Iowa’s premier environmental organizations. She has served in the past on the Iowa Environmental Protection Commission monitoring the environmental protection activities of the Iowa Department of Natural Resources. Electing Fred Hubbell as Governor will not only give Iowans an outstanding leader, they also get his talented wife, partner and advisor as a part of the package. Bad politicians are elected because of the people, who for what ever their reasons, fail to vote. These up-coming elections are crucial for the betterment of yourself, your loved ones, your friends, relatives, Iowa and all of our beloved America. Get out and Vote Blue. Thank you for sharing this important perspective, a significant gift to Iowa! Thank you, Rick, for posting this column. I’m glad that there is ample precedent in Iowa for an active “First Spouse.” And it certainly isn’t all that rare even in national politics. Re: Eleanor Roosevelt, Betty Ford, Michelle Obama. If marriage is a partnership, then I see no reason that partnership cannot continue when one spouse becomes governor. The Hubbells would be a great change from what we currently have in Terrace Hill. Is Steve King still on Kim Reynolds re-election team? Several national level Republicans have finally spoke out against King – wonder if the acting governor will have the guts to do the same?